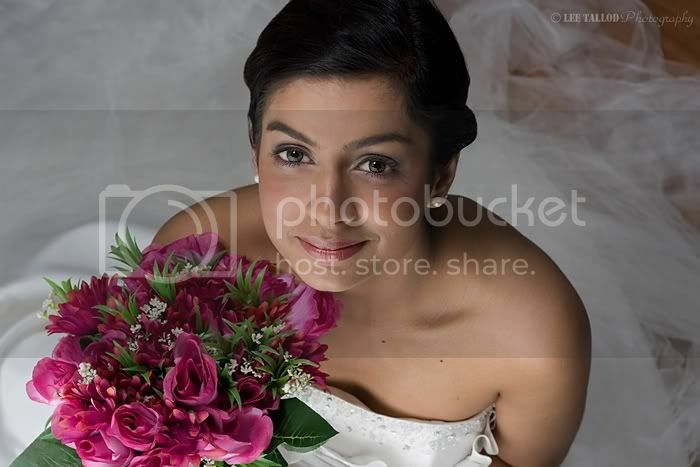 Bridal makeup must look natural, fresh, glowing and timeless. As simple as it may seem, most makeup artists would agree that it is one of the hardest to master. Achieving a flawless look by covering imperfections without making the bride look piled up with makeup takes a a considerable amount of technique and skill. Also, since weddings are incredibly hectic with every minute photographed or videotaped, the makeup should be durable enough to last the entire day with no or minimal retouch. MUAs often offer traditional and airbrush makeup application. The difference between the two is the technique of application. Traditional makeup is the conventional way of applying makeup using a brush or sponge while airbrush makeup is applied through an airbrush gun which allows a seamless and thin application. Most brides prefer the latter because the thinner the coat is, the faster it will dry, the longer it will last, and the nicer it will look. However, the product sprayed through an airbrush gun could be also applied with a sponge or with a foundation brush but the effect depends on the tool used. Read more for the tricks I've learned in the business here. Nice, I can't help but nod! AGREE! AGREE! AGREE! Great tips Miss Kim! Hope I can be a makeup artist someday.. I don't have enough money though for expensive makeup...whew! Nice post, it helps! Thanks for sharing. Great Post....Useful Information this post contains very significant ideas & tips. Great idea indeed!